« Vous souhaitez nous entendre !? LA DROITE MUNICIPALE COMMUNIQUE à Cabestany ! 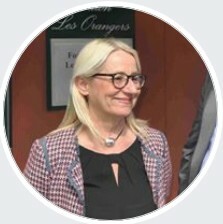 This entry was posted on 14 avril 2019 at 12:38 and is filed under "Cabestany d'abord", "ils relaient nos articles nous relayons les leurs", "Nous c'est Cabestany", Au fil des jours. You can follow any responses to this entry through the RSS 2.0 feed. You can leave a response, or trackback from your own site.